Here at The Spa Spot, not only do we have the best prices & selection, we are Northern Alberta’s Exclusive MAAX Spas authorized retailer. This means in addition to the best value, we sell the highest quality Hot Tubs Edmonton has ever seen. 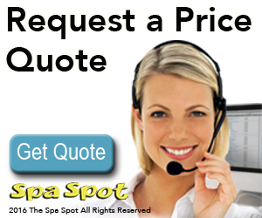 The Spa Spot has built a reputation as one of the most knowledgeable and reliable retailers of industry leading hot tubs & swim spas in northern Alberta. With four locations across Northern Alberta, Spa Spot offers the convenience of in-store and on-site service. Visit any of the four Spa Spot showrooms in Edmonton, Lloydminster, and Grande Prairie & see for yourself. Plus, nowhere else can you choose from 4 industry leading brands of Hot Tubs Edmonton. Plus, we’re proud to provide the best service of any Edmonton hot tubs dealer. The best Hot Tubs and Swim Spas in Edmonton coupled with top-notch customer service are how we built our reputation, and how we’ll maintain it for years to come. From intimate two-person hot tubs to an 8 person party hot tub, Maax Spas’ has it all. Want to exercise? Try out a Powerpool swim spa for an all over exercise regime. Spa Spot has the best selection of Hot Tubs Edmonton and swim spas. Browse our gallery of the top hot tubs in Edmonton, or drop by our Edmonton hot tub showroom, or any of our four locations across northern Alberta, to see Edmonton’s best Hot Tub selection for yourself. Moving water is a powerful and eternal force, grinding rocky shorelines into sandy beaches, carving deep rivers from solid earth. Even just the sound of flowing water can soothe nerves, relax tense muscles and soothe the soul. Spa Spot is Northern Alberta’s exclusive retailer for The MAAX Spas family of brands. All these brands under one roof means there is a MAAX Spa for every lifestyle, every need, and you can see them all in one place. Bring the power of moving water into your home and live healthier, heal your body and free your mind from stress. However you choose to use it, MAAX Spas can help you harness the power of water to transform the way you live. The Spot Spot is Northern Alberta’s exclusive retailer of The MAAX Spas family of brands. Spa Spot – Edmonton S.